We are not alone. There are giant creatures from another realm that invade our world. 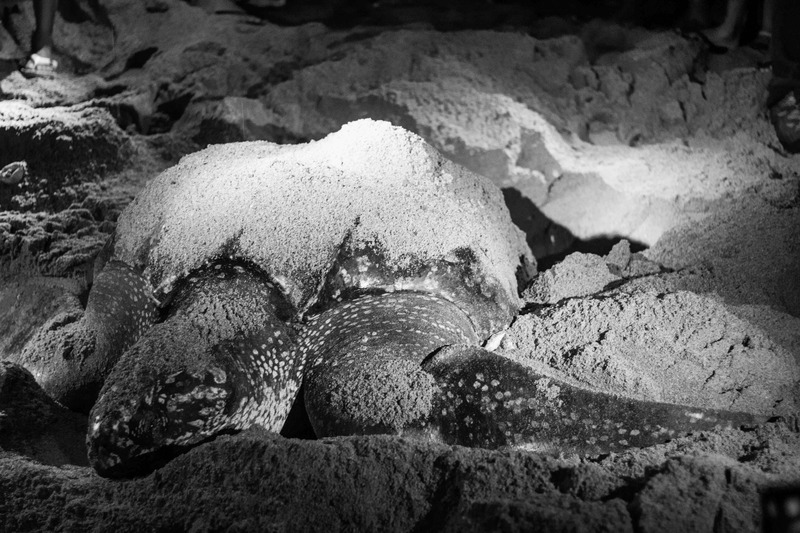 That’s how it may feel seeing the mammoth yet shy leatherback turtles emerging onto a beach in the dead of night. These gentle creatures are the largest of all living turtles, and seeing these amazing animals is not something to be missed — especially if you are a nature lover. 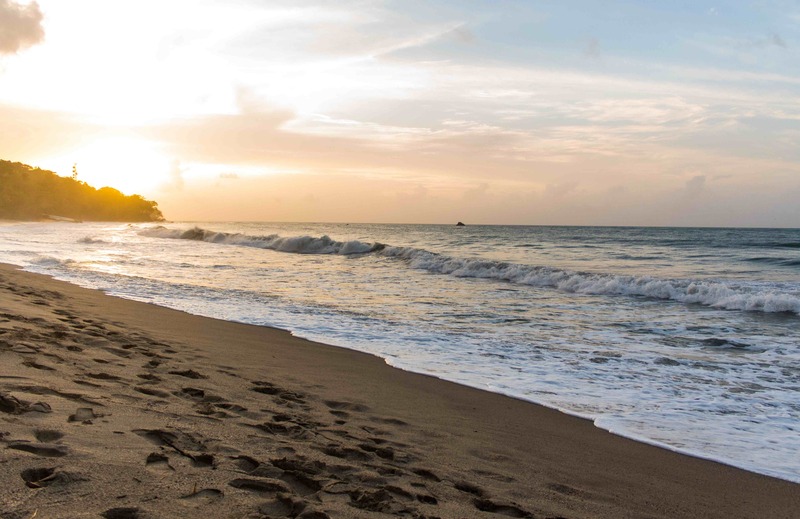 Trinidad and Tobago is one of best places to catch sight of leatherback turtles as large numbers come to lay eggs every year on these shores. One of the best places to see them, in either the laying or the hatching stage, is in Grande Rivière in the North East part of Trinidad. Other areas such as Matura or Tobago are also viable options but there are advantages to making the journey to Grande Rivière. 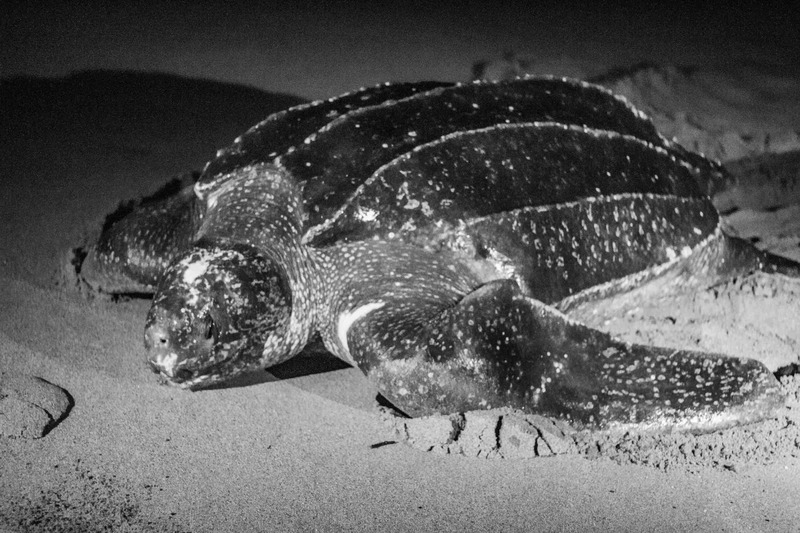 There are usually more options for accommodation and Grande Rivière is the second largest leatherback turtle nesting site in the world, which makes your chances of success at spotting them even greater. During the peak season, you are pretty much guaranteed to see several during the night. The turtle season generally ranges from March to September. This will include the nesting as well as the hatching stages. The earlier months being best for seeing the laying process and the latter better for watching the young trying to make their way into the ocean. To get the best of both try going around June to see them coming as well as going. As mentioned, Grande Rivère is the where I would recommend you make your stay. The turtles only come after dark, so it is better to rent a hotel overnight to avoid the stress that comes with driving in the dark. 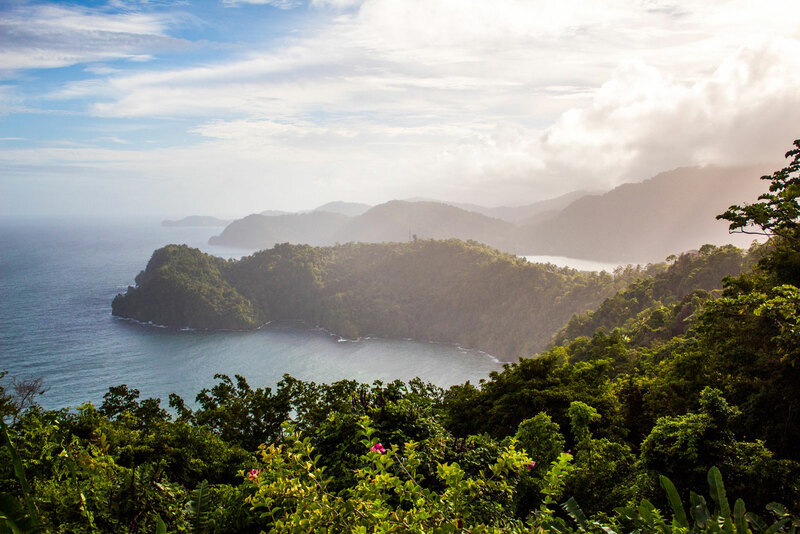 The roads can be narrow and rough, plus it is a 3-hour trek from Port of Spain. Save yourself the hassle and check in for a night (you can also go with a tour bus if you want, but that means a round trip of at least 6 hours as they arrive and depart in the evening). There are several options in Grande Rivère that range from the upper scale to rustic, but when it comes to getting a great experience for seeing the leatherback turtles I really recommend Mt Plaisir Estate Hotel. 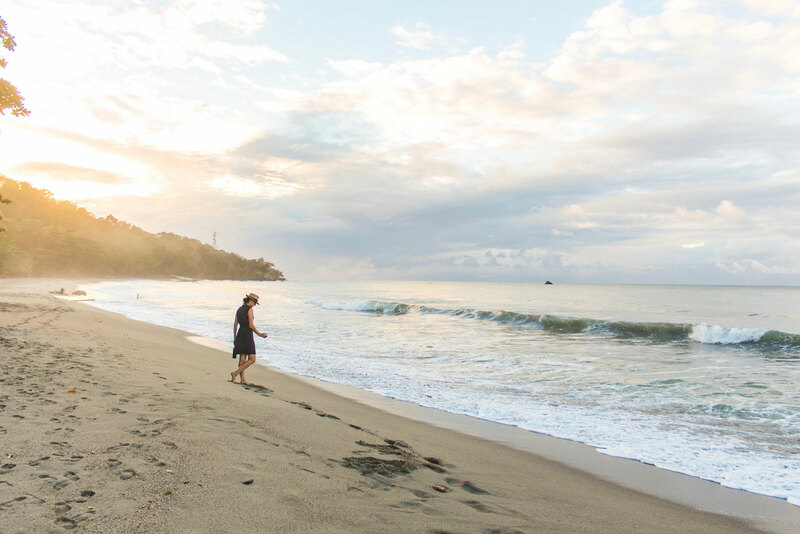 It’s located right on the beach where you can literally see the leatherbacks come ashore from your room or balcony. You can learn more about the hotel from our review of it. Since the leatherback turtles are on the threatened species list, human interaction is tightly controlled. Specific protocols have to be followed so as to not scare away the expectant mothers. This is increasingly important as only about 1 in 100 survive their natural predators, not to mention human poachers. To gain access to the beach a permit is required. These can be purchased at a kiosk just behind Mt Plaisir Estate Hotel for $15 or $90 TT dollars depending on whether you are a resident or not — a steal at either price! This comes with a guided tour with the option to purchase a special red flashlight. These are the only lights permitted on the beach at this time since they do not interfere with the nesting process. It is highly recommended to make the purchase if you plan on taking any sort of pictures. Make sure to bring a camera along that does well in low light conditions as well since flash photography is also off limits. The tour takes approximately 2 hours to complete and within that time we able to see 12-20 turtles easily at that time. 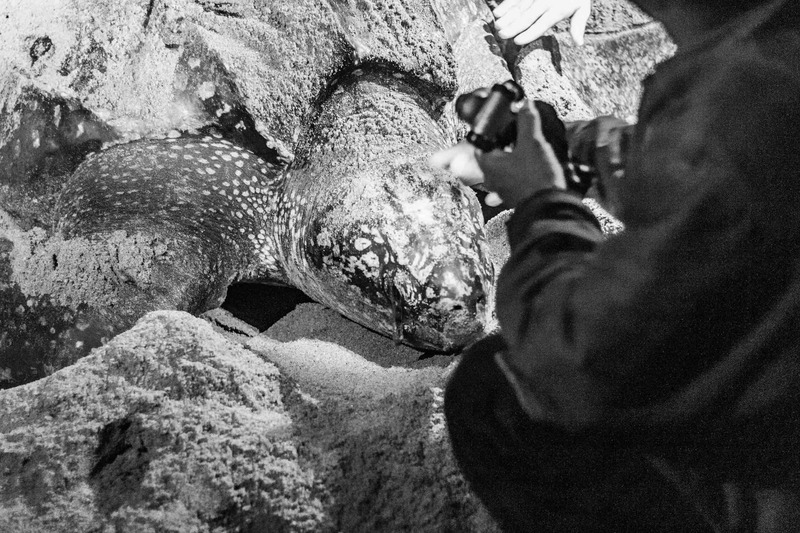 The tour guides are quite knowledgeable about the leatherbacks and provide fascinating details about their physiology, behaviour and habits, even though much of their sea life still remains a mystery to scientists. 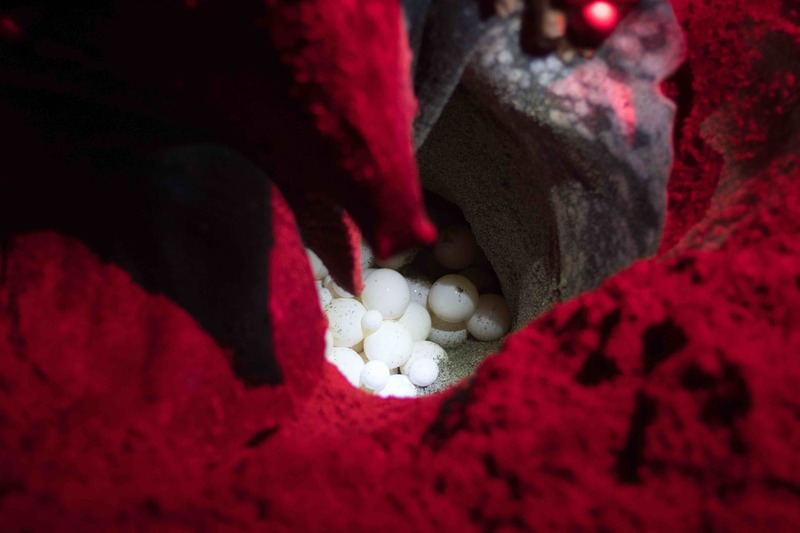 Following the direction of the guide, you can actually get close and make contact with the mothers as they lay up to a hundred eggs at a time. The leatherback turtles go into a trance-like state when laying and can be safely approached during the process. Up close is where you really get to appreciate their size. It’s amazing to think that something so large and lumbering on land can outswim whales and sharks. After the tour concludes you will be taken back towards the centre where the tour began. However, if you are staying at Mt Plaisir Estate Hotel you can simply walk to your room — another perk of staying there. From our room, we could still watch as many more turtles made their way onto land all through the night. Some just a few feet from the hotel. If you are trying to see the hatchlings, I recommend getting there​ earlier in the day. The midday sun can kill the young and the daylight makes them easy prey for the nearby vultures. As a result, the hatchlings​ tend to make their way to the ocean near sunset. There will usually be caretakers who are on the look out for the young, and they may even collect them to be released in a safe controlled way. While we were there some children had the opportunity to release them into the ocean. Quite a charming spectacle to see their reactions at letting the little guys go. Seeing the leatherback turtles in Trinidad and Tobago is a special experience that you would not want to miss. On your next visit why not plan a trip to see them. You won’t be disappointed!